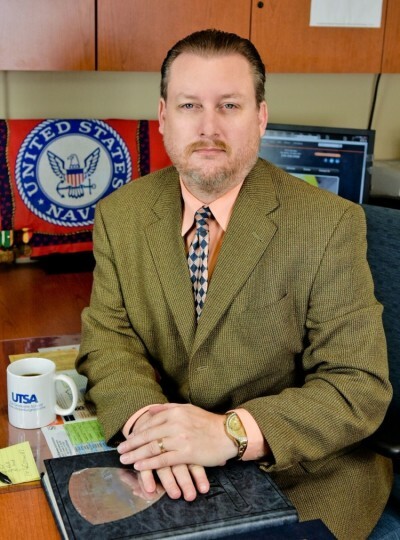 Curtis Graham Mohler is a twenty year Navy Veteran who has served in several management capacities including NJROTC Administrative & Budget Manager, Human Resources Recruiter, Combat Communications Instructor, Warfare Coordinator and NCIS Direct Special Agent Support. Curtis has previously served as a Senior Business Development Specialist Counselor at the Small Business Development Center, Procurement Technical Assistance Center (PTAC) and managed the Veterans Assistance Services Program (VASP) and Chase Veterans Business Development Programs providing free business counseling services to veteran entrepreneur clients specializing in start-ups, development, operations, certifications, management, government contracting and long-term expansion winning 2014 SBA Small Business Week, Veteran Champion of the Year! He now serves as a Senior Business Development Specialist assisting small business owners to expand their opportunities to federal and other markets providing advanced government contracting business services under the Defense Logistics Agency (DLA) program. Previously, Curtis served as a Senior Defense Management Consultant, Director of Business Development-US West Operations responsible for managing and implementing the (Saber-Diamond Business Plan) specifically targeted to develop, capture, expand and management new business opportunities for a (Fortune 500) Global Defense Contractor client in support of 20 commercial small businesses encompassing 27 states and over 1000 personnel. Curtis is a graduate of Wayland Baptist University, where he earned a Bachelor of Science in Occupational Education (BSOE) with a major in Management, and Master of Arts (MAM) in Organizational Management.